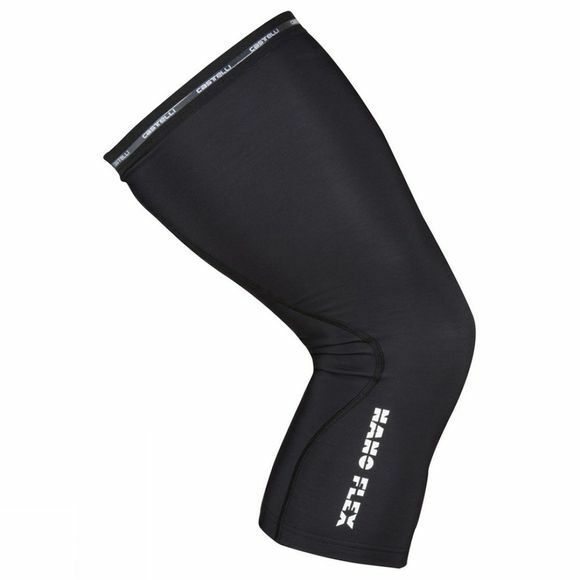 The Mens Nanoflex+ Kneewarmers from Castelli have been in our collection for seven years, and we’ve finally found a way to improve them. We’ve added an insert on the back in Nano Light fabric to help them bend around your elbow or knee better while keeping all the water protection. More comfort due to more flexibility, and in a slightly more compact package.